"It's chrono-chaos. It's like living in a house. There's a clock in every room in the house and in all of those rooms those clocks are now disrupted, which of course leads to chaos in the household," says researcher Derk-Jan Dijk. In the study, which was published in Proceedings of the National Academy of Sciences, researchers tested the effects of sleep shifting as 22 people went from having a normal daylight schedule to that of an overnight worker. They were monitored for three days in a dark sleep lab. While that might sound like the absolute perfect way to spend three drowsy days, the results were quite striking — and scientists were surprised that such drastic effects were found in such a short amount of time. During the first day, when the body reset its circadian rhythm, nearly 1,400 genes — about 6.4 percent of all genes that were analyzed — were in sync with that rhythm. On the days of shifted sleep, however, the number of genes tied to the body's clock dropped dramatically, to 228 genes, or only 1 percent of genes analyzed. Scientists already know that abnormal sleeping patterns are linked to higher rates of type-2 diabetes, heart disease, and cancer rates. 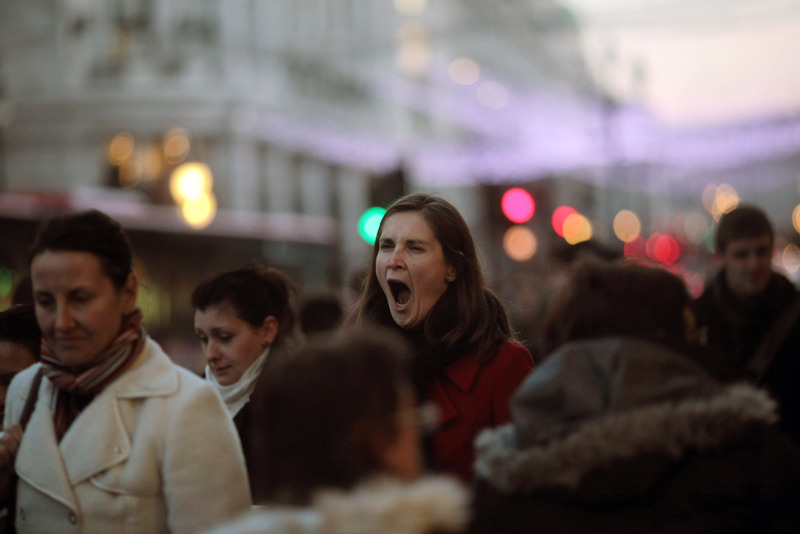 This study may also explain why travelers feel so bad during jet lag. "[Complications] show up after several years of shift work. We believe these changes in rhythmic patterns of gene expression are likely to be related to some of those long-term health consequences," Dijk says. Even though I don't think I worked enough late nights to suffer any major health problems, I have experienced some personal "chaos" because of it. Mainly, not being able to wake up in time to have brunch EVER with your friends — or be productive any time before 2 p.m. Though a positive note: There were plenty of random excuses for late-night drinking with coworkers.